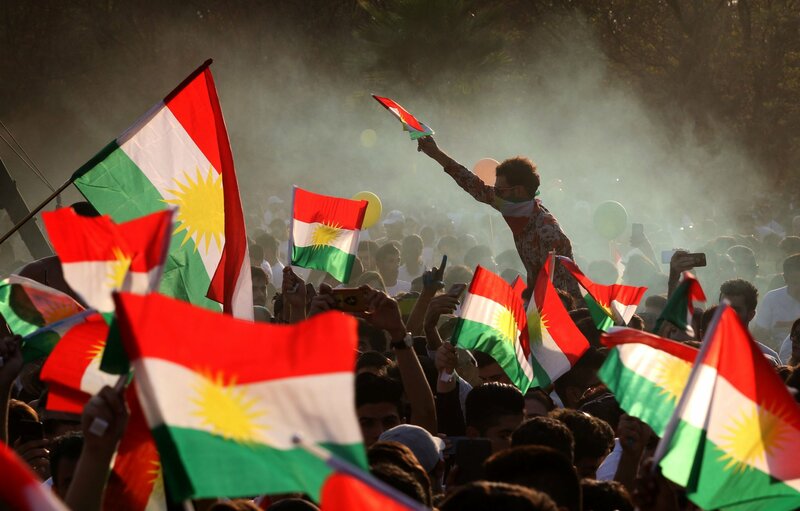 Iraqi Kurds will vote today on becoming an independent state. While independence is expected to prevail at the ballot, the results will not be seen as legitimate by the government in Baghdad. Already possessing significant regional autonomy, Kurdistan has long agitated for independence. President Masoud Barzani has said the current borders are the artificial “work of officials with a pencil and map” and that the time is ripe for independence following the large contribution of the peshmerga, the Iraqi Kurdish military forces, in fighting ISIS. The Iraqi government opposes the plebiscite and will not accept its legitimacy. Prime Minister Haider al-Abadi has even threatened to use military force if violence follows the result. International opponents, led by the US, worry that the vote will destabilise Iraq just as ISIS is nearly vanquished, a concern the PM’s threat does nothing to assuage. Even if things do not go as far as military action, some unrest appears likely. The larger the victory for independence advocates, the less Baghdad will be able to ignore them; however, a shock defeat would certainly postpone, if not kill, Mr Barzani’s dream.